Despite multiple reports, including NBC, that the team had decided against the traditional winners visit to the White House, a representative for the Golden State Warriors told NBA.com that they hadn't made a decision. 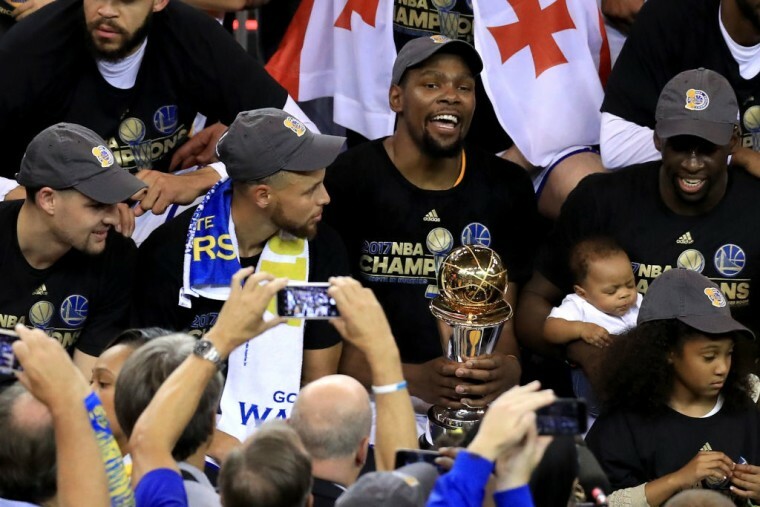 "Today is all about celebrating our championship," the organization said in a statement, adding that they have not received an invitation to the White House. The statement added the organization would "make those decisions when and if necessary." Suggestion of the team's boycott first broke shortly after the Warriors secured their win on Monday night. Various members of the Warriors have been critical of the President in recent months. Coach Steve Kerr called Trump a “blowhard” and “ill-suited” for the office he holds. A representative for the Golden State Warriors was not immediately available for comment.